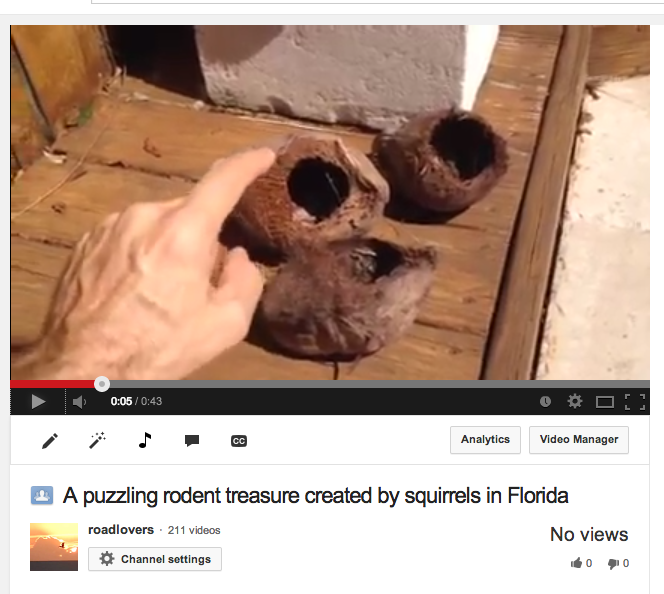 What do squirrels do with coconuts? When did they start eating these big nuts? Why do squirrels eat coconuts? The squirrel has to wait to cross the street... and he was here first.